Summer is just around the corner, and that means you’re going to want to use your yard to take in the sun. You want somewhere for your kids to play, or maybe just a deck in order to soak up some rays. Whatever you need it for, you’re going to have to clean up your yard first. 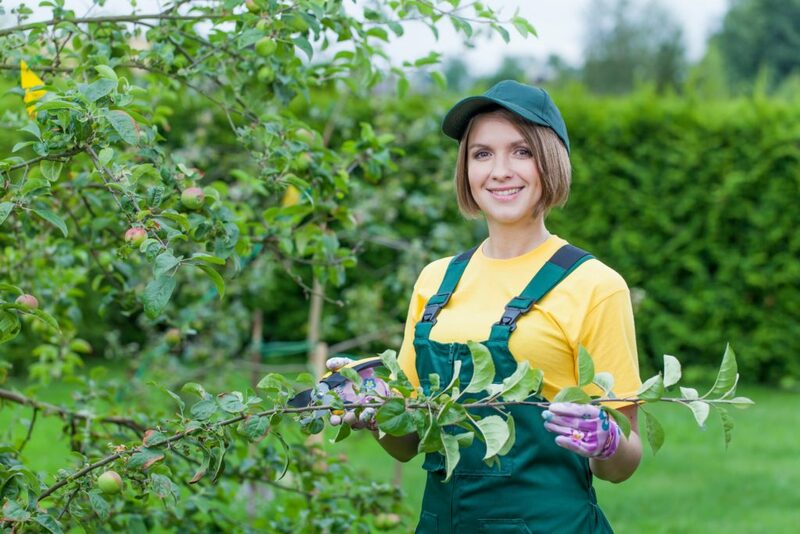 Here’s why you’ll want to hire us here at Advance Tree Pros to work on your landscaping and give you the yard you’ve always wanted. You may have trees in your yard that just aren’t able to stay where they are. They could be old and dying or damaged from storms. Perhaps you’ve moved into your home recently, and you’ve found that the tree is blocking your view. Whatever the reason, that tree has to go. The same goes for tree stumps. Someone’s cut the tree down in the past, but the stump still remains. Many think that it’s a hassle to remove it, and so they just leave them where they are. In fact, they can be removed and you can reclaim a good section of your yard. With summer coming up, now’s the time to do it. If you think you may need tree removal services, all you have to do is give us a call. We’ll come and take a look at your yard, and give a full and accurate price up front. There may be extra work that needs to be done once we’re on site, but we’ll tell you about how we charge for this before you ever sign on the dotted line. That way, you’re fully informed before you hire us. Our team is fully trained and capable of removing any tree or tree stump from your yard. They’ll come with the right equipment for the job, including crane lifts, if they’re needed. They’ll ensure the safety of you and your home, taking great care to not damage the land around the tree. Best price available: We’ll give you a price that’s hard to beat, making landscaping your yard more affordable than you thought. Fully insured: We’re insured to work on your property, so you know you’re safe in our hands. Detailed estimates of work: We’ll come take a look at your property, and then give you a detailed estimate of what needs to be done. This will give you a good rundown of what we intend to do, so you know exactly what’s happening on your property. We clear away the debris: After any tree removal work, there’s going to be debris. We take this all away for you, so you don’t have to worry about doing this yourself. Recycled materials: Once we remove the debris from your home, we’ll take it away to be mulched and used elsewhere in the state. It’s good to know that your old tree is still being put to good use, even when you’ve had it removed. Once you’ve used Advance Tree Pros to remove the trees and stumps, that have been causing a problem in your yard, you can rest easy. You no longer have to worry about branches coming down off dead or dying trees, and any trees that have been spoiling the view are no longer a problem. The tree stumps that have been taking up so much room are now finally gone, meaning you can install the swimming pool or deck that you’ve always wanted. If you really want to get the use of your yard this summer, give us a call at Advance Tree Pros. We’re the people to help landscape your garden, by removing any trees that pose a challenge. You’ll love our service, and the prices we can offer you. Trees are beautiful, they create shade, wildlife and add exquisite scenery to a home. A gorgeous, lush tree can instantly add and enhance the look and landscape of a homeowner’s yard, townhouse, and apartment. Trees draw people to your property more than other properties without trees swaying in the front courtyard or growing along the road there to greet your tenants or resident’s home for a long day.